I posted a picture on Instagram a few days ago of Camryn holding a giant plate full of pancakes, and I had a few requests to share my recipe. 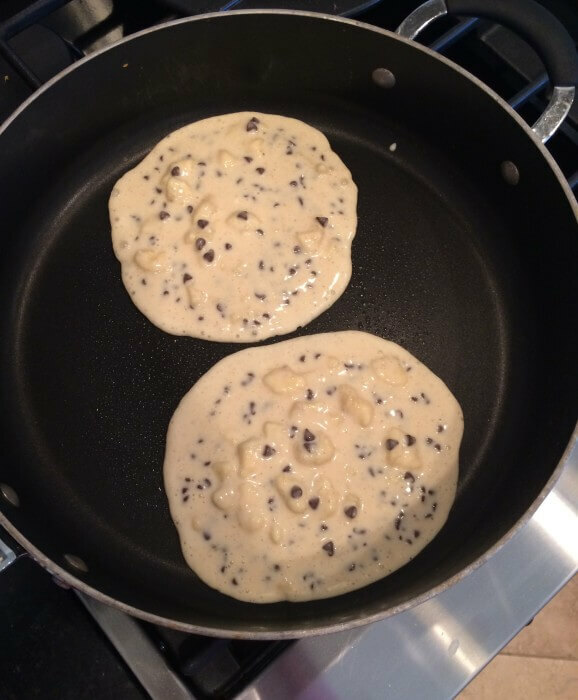 It’s so easy, and takes hardly an extra minute to make in comparison to plain old pancakes…I actually feel guilty calling it “my recipe”, because it’s that easy. 1-2 bananas (depending on size. Sometimes I get bananas on steroids) The more ripe, the better. Make pancake mix as directed on box. Add 1 tsp. vanilla extract, 1 tsp. cinnamon, chocolate chips, and sliced bananas to mix. Cook on griddle as usual. I top mine with butter, and sometime melted chunky peanut butter. Enjoy! I’ll update with my Lust List later this afternoon, so check back for that. I’ll post the link on Facebook for any of you that follow. First time I made pancakes was a year ago – about the same time I first had them!! I was seriously deprived as a child lol!! 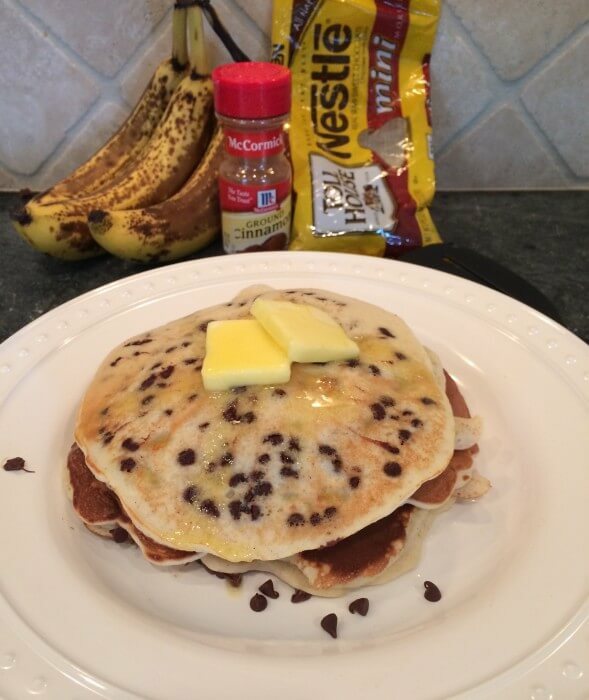 I love adding chocolate chips to practically anything – so this is no exception!! Thanks for sharing dill! These look delish! I always add vanilla extract to mine too. Sometimes we add colored sprinkles for funfetti pancakes! Um, YUM! 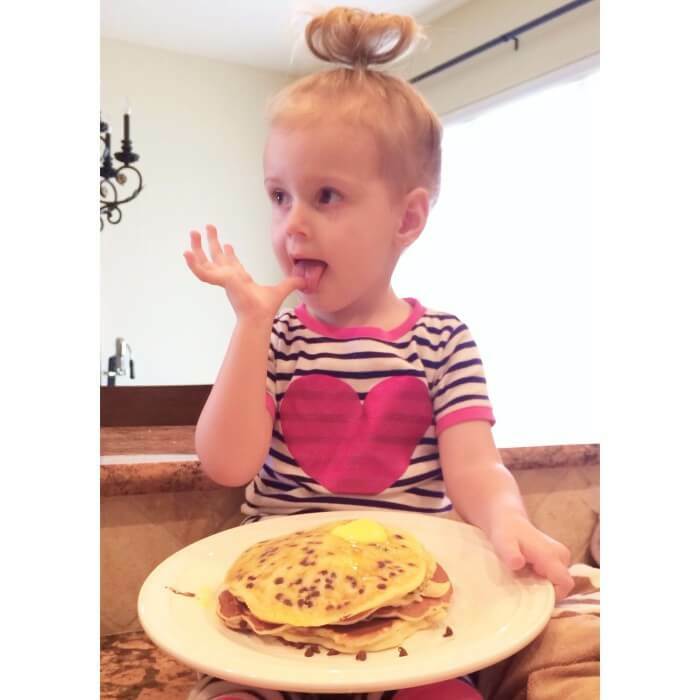 If my hairstyle matches Camryn’s today, will you make me some pancakes too?! I’m trying this tomorrow morning! You’re daughter is adorable. Aubrie, thank you so much! 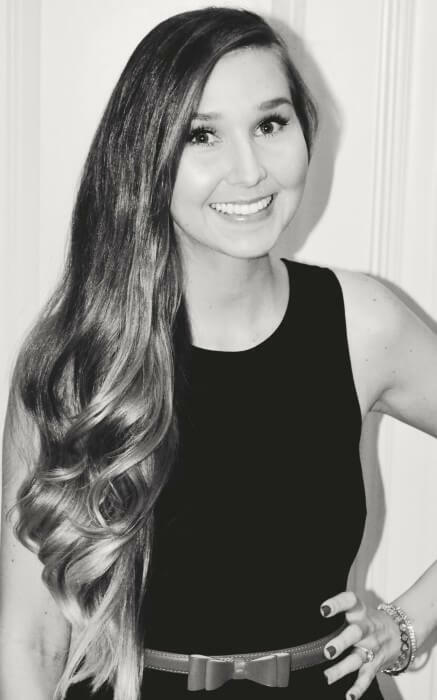 I think she’s pretty darling too…but I’m biased. How’d the pancakes turn out? !